How Do Asset Chapter 7 Bankruptcy Filings Work? Chapter 7, also known as “liquidation bankruptcy,” offers debtors an opportunity to eliminate unsecured debts and move forward with a clean slate. Despite the nickname, Chapter 7 bankruptcy filings don’t always result in any liquidating being done by the bankruptcy trustee, as many individuals who qualify for Chapter 7 bankruptcy don’t own any non-exempt assets. However, filing for bankruptcy under Chapter 7 may still make sense, even when you do own assets that aren’t covered by an exemption. 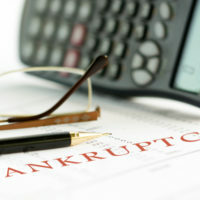 Read on to learn more about Chapter 7 asset bankruptcies. With the help of an experienced New York bankruptcy attorney, most Chapter 7 petitioners can find an exemption that will allow them to keep their most treasured possessions. This turns the case into a “no asset” filing. Where Chapter 7 petitioners own property that isn’t covered by an exemption, the case becomes an “asset” filing. In theory, this gives the bankruptcy trustee the right to sell those non-exempt assets and use the proceeds to pay your creditors. Even where bankruptcy trustees have the right to sell an asset, they may decide against a sale. For example, the asset may not be of a great enough value to justify the time and costs associated with a sale. Often, trustees will not sell personal items such as used clothing or low-value jewelry for this reason. In other cases, the risks or expense associated with redeeming an asset will dissuade the trustee from trying to liquidate it. For example, if you have a civil claim against someone for a relatively small amount of money, or if you own property that may be difficult to sell, the trustee may decide that these assets would be too risky or costly to be worth their time. Where a trustee sale of assets does go through, it may end up being in your best interests. Let’s say you own property that isn’t covered by an exemption, such as a second car, boat, or artwork you inherited. While you might like these items, they aren’t critical to your daily life and mostly gather dust. By acquiescing to a sale of these assets, you could save your exemptions for items that are more important to you. Additionally, the sale could result in payment toward priority debts that won’t be forgiven in bankruptcy, preventing you from having to pay as much toward those debts in the future. If you are having trouble keeping up with your bills and are considering bankruptcy, contact the knowledgeable and hard-working Hudson Valley bankruptcy lawyers at Rusk, Wadlin, Heppner & Martuscello, LLP for a consultation, in Kingston at 845-331-4100, or in Marlboro at 845-236-4411.